As winter turns to spring, our tastes tend to reflect the change in seasons. For drinks, that means lighter cocktails with fresh ingredients, including herbs and fruits. 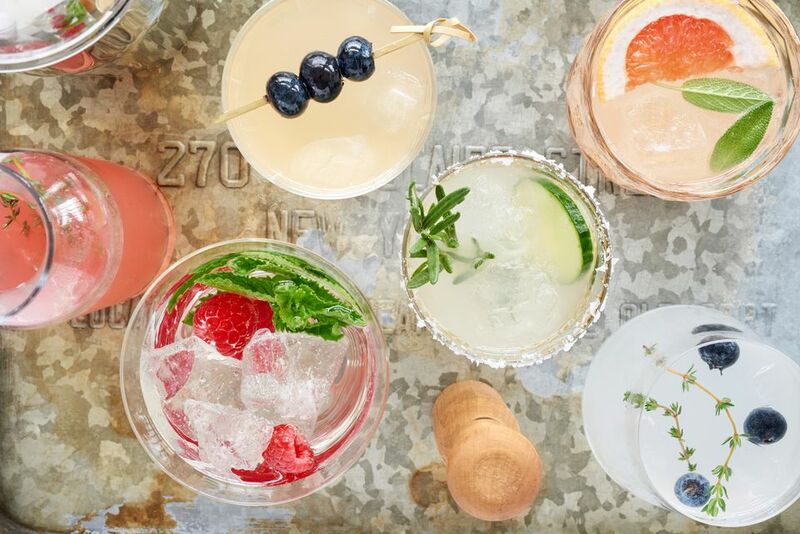 From enlightening lavender drinks to fresh lemonade cocktails, spring cocktails are an absolute joy. Not only are these lovely libations ideal for your springtime parties, but they're also delightfully easy to mix up. Each requires just a few simple ingredients so you can relax and rejuvenate whenever you need to. 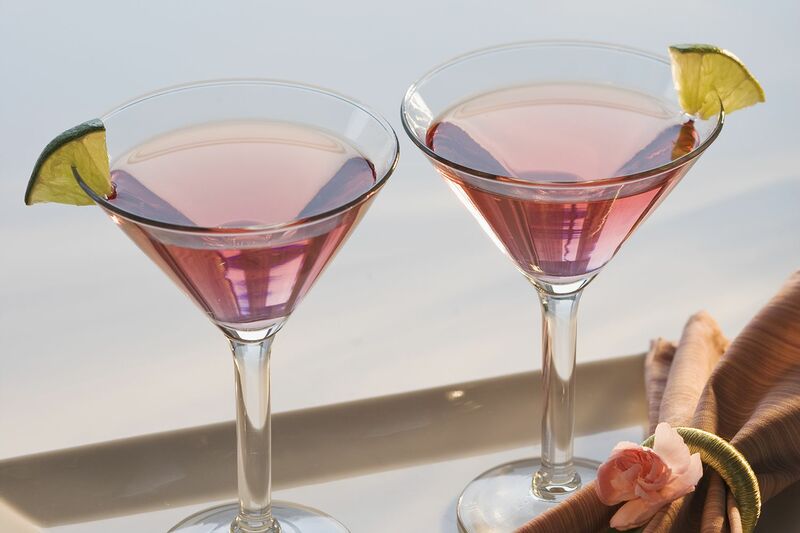 This lovely pink cocktail is a delightful sipper for the first days of spring. The Cherry Blossomtini is a sake variation on the famous cosmopolitan, complete with Cointreau and cranberry juice. The cocktail is a true pleasure to drink and it's very easy to make. Since it has such a familiar base, you can enjoy it for any occasion and serve it to drinkers of any taste. Few flavor pairings can touch the perfection that is tamarind and tequila. We see it in ​a tamarind margarita and it could not be easier to obtain than this refreshing highball drink. The Tamarind and Tequila is quick to mix up and it's a drink that you can enjoy all afternoon. The only ingredient that's a bit unusual is the tamarind nectar, but it's readily available in the juice aisle of many supermarkets. Look no further for the ultimate spring pitcher drink. This fun concoction is filled with fresh flavor. It's also one of the easiest ways to make five drinks at one time. The Pineapple and Sage Gimlet is exactly what it sounds like: an herbal take ​on the classic gimlet. Your taste buds will be tantalized by the play of fresh sage leaves off the pineapple while the gin quietly hangs out in the background. Come spring, a lavender syrup should become a staple in any bar. You will be hard-pressed to find another herb that can evoke the revitalizing feeling of the season as this one. In this simple variation on the Tom Collins, we pair the syrup with Bombay Sapphire Gin and lemon juice, topping it off with club soda. The result is the Lavender Sapphire Collins, a tall spritzer with an intriguing depth of botanical flavors and one that everyone will love. It's green, it's fruity and it's oh so easy to mix up. The Japanese Slipper has everything we love about fancy cocktails, and it's very likely that you already have the three ingredients you need. Not only are each of the cocktail's elements found regularly in a well-stocked bar, but they're poured in equal amounts. This makes the recipe easy to remember and it may become your new go-to for a fascinating green cocktail. As spring dawns, one of the first things on many minds is an ice-cold glass of fresh lemonade. Why not transform that into a simple vodka martini? The Hello Kitty is a three-ingredient cocktail that has a gentle fruit flavor with a bit of an exotic twist, thanks to Ty Ku Liqueur. It's a delicate, neon green liqueur flavored with natural fruits and botanicals that make this vodka drink a true beauty. Things​ get a little spicy in the Cape Samurai, and that's why we love it. If you're seeking to surprise your guests with a deceptive drink, this is the ideal candidate. This simple vodka cocktail looks sweet and innocent and the rose syrup is easy to make at home. When that delicate floral meets slices of ginger and a dollop of wasabi, an entirely new world of flavor opens up. Don't worry, it's not overpowering or brash. It's fantastic! We really cannot talk about spring cocktails without mentioning the ultimate drink of the season. The Mint Julep is the drink to have during May's Kentucky Derby and it works for any day of the year. The popularity of this drink may make it seem out of reach, but the reality is that it could not be easier. There are no secret tricks, just muddle mint and sugar and add bourbon and crushed ice. In just a few minutes, you'll become a believer in the power of the julep. Concerned that you aren't getting enough veggies in your diet? There's a cocktail that can help you out. The Green Giant is a very interesting recipe that uses sugar snap peas, which are in season during the spring months. Pair those peas with the snap of fresh tarragon, an organic vodka, dry vermouth and honey, and a garden-fresh cocktail is yours to enjoy. Rhubarb is another garden favorite with a very limited season. Take advantage of your backyard crop and make up one of the most intriguing daiquiris of the year. The Rhubarb-Rosemary Daiquiri recipe is all about freshly made rhubarb juice. The juice is paired with a rosemary syrup and your favorite light rum. The result is a refreshingly sweet drink with an herbal twist that is sure to delight.